Add a touch of customization to the front end of your 97-06 Jeep Wrangler TJ and Unlimited. These Rugged Ridge Hood Hinges in Stainless Steel are the perfect solution to not only dress up your Jeep but also to replace those old hinges that have seen better days. These durable stainless steel hood hinges have a mirror polished appealing look for shine, plus a long lasting rust free finish that resists chips and scratches. 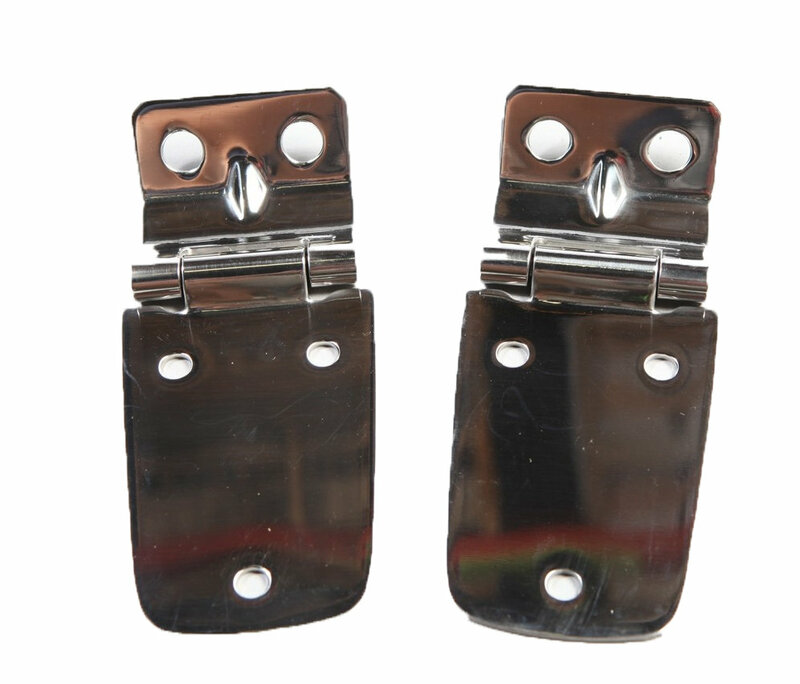 Rugged Ridge designs these Hood Hinges to be a replacement part that bolts right up to the factory mounting locations. The Rugged Ridge Stainless Hinges are weather resistant and are backed by a 5-year limited warranty. Stainless Steel Construction: This set of mirror finish Hood Hinges add a touch of customization to the front end of your Wrangler, and provide long lasting weather resistance from the elements. OEM Replacement: Rugged Ridge specifically designed these Hood Hinges for your Jeep Wrangler TJ and use factory mounting points for an exceptional tight fit. Easy Installation: Rugged Ridge Hood Hinges includes all necessary hardware and require no drilling for a hassle free installation. Warranty: Backed by a 5-year limited warranty.